It seems that no matter how much planning you do, fate has another plan in mind and thus you must stay flexible. In these situations I think it is important to remain philosophical and not allow things to drag you down, as this is a once-in-a-lifetime opportunity and I should try to get the most out of it. So for the fifth time since arriving in Europe I returned to the Dusseldorf area in the hopes of finally collecting my residency card/working holiday visa, that would not only allow me to continue travelling in Europe beyond my 90 day tourist visa (which expires on Sunday), but also have the opportunity to join two of the best wineries in Germany for the harvest later in the year. I had to do some shifting of my days, and had to leave Friuli early to make my flight from Milan, but at least now I can head back to Italy sooner and not miss any time in my next region. As long as I can get some appointments after Easter. For my final day in Friuli I only had one brief appointment, at Venica & Venica. 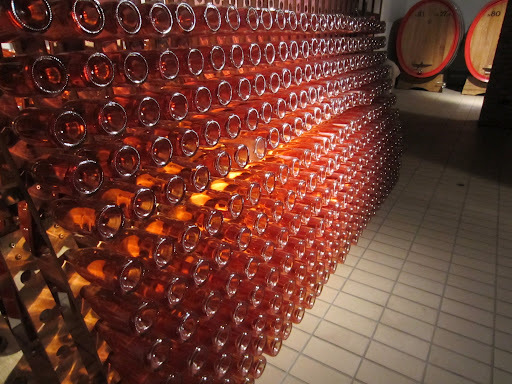 Whilst Friuli as a region has been growing grapes and making wines longer than most regions in Italy, it was late to serious production and bottling of wines. It was very common for families to own land on which they would have a combination of agriculture and livestock, sometimes making something of them for sale, and sometimes selling or trading the raw materials. 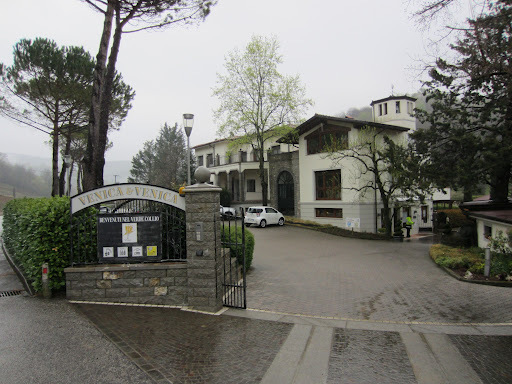 This was indeed the origins of the Venica & Venica business in Dolegna del Collio, with fruit and wine sold to restaurants in nearby Udine and Adelchi. Difficulties during wars and redrawing of borders meant the family were forced to buy back their reclaimed house, and after WWII they began to purchase abandoned vineyards and regenerate them. The winery now owns vineyards in 55 micro-climates across seven hills, which makes it challenging during vintage when different varieties ripen in the same period across a large area. For this reason there are no plans to expand the vineyards, as the logistics are too difficult, regardless of human resources. The winery make a range of wines using both indigenous and “international” varieties, with their most famous being a single vineyard sauvignon blanc. Click here to read my tasting notes. Click here to see more photos from Day Three in Friuli, Italy.